I got a chance to meet Eric Stackpole of OpenROV at Maker Faire Bay Area this year and interview him briefly during our live streaming camera coverage of the fair. Talking to Eric is a bit like grabbing hold of a bare electrical wire. He’s so full of energy that you find you just cannot let go. He’s also on the cover of the current issue of MAKE. 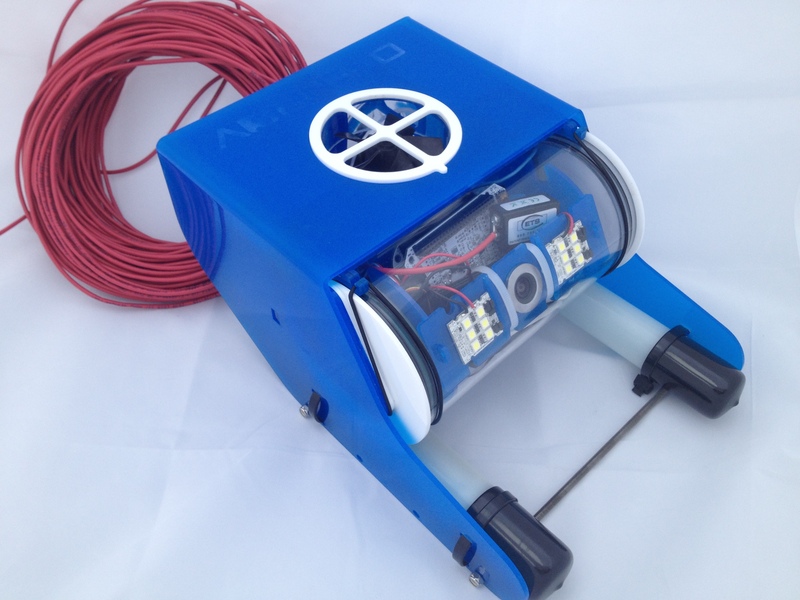 OpenROV is an open source underwater platform that can be built with off-the-shelf parts. Most ROVs cost tens of thousands of dollars. OpenROV can be built for well under $1,000, which can help “democratize” exploration so that anyone can do it. This is a tool you can do real science with, and can withstand pressures at up to 100 feet below the surface. Eric explains how they “cleverly mis-use” off the shelf parts to achieve their low cost goals. Uses a cheap home plug adapter (used for Ethernet over power lines) to get 200 Mbit/sec communications over inexpensive copper wire for the ROV’s tether. $10 Brushless RC motors are insulated instead of using expensive thrusters. HD video is provided with a simple USB webcam. The open source nature of their project has really driven innovation. “Everyone is smarter than anyone,” says Eric. Their website’s forums allow anyone to contribute to the development of the ROV. You can buy this as a kit or source the parts yourself and build it… today. Can an inexpensive open source ROV really do exploration? The OpenROV has been used around the Aquarius Reef Base, an underwater habitat owned by the National Oceanic and Atmospheric Administration (NOAA). It has probed into the Hall City Cave in California and under the Ross Ice Shelf in Antarctica. So yes, this is real. Hear more about it in Eric’s own words by watching the video above.